What is the average cost of living in Singapore for a young adult? How much can a young adult expect to spend on a monthly basis? The cost of living in Singapore is comparable to some of the most expensive cities around the world. Whether you’re a young graduate who just entered the workforce, or a young couple who just moved into your new home, you may wonder often how much you can expect to be spending each month? When I was in the same stage in life, I googled for answers to questions such as “How much can I expect to spend as a working adult in Singapore?” or “How much can I expect to spend after moving into my new home?”. However, I wasn’t able to find any articles. To address this, I came up with this list on how much a young adult (single or married) would spend on a monthly basis. Whether you’re about to enter the workforce, have been working for a few years or just got married and wonder how your cost of living may change, I hope that this breakdown would be helpful to you and would help you plan for your existing or future stage in life. Please note that the below charts are not based on my personal expenses as I can understand that my lifestyle choices may not be compatible with that of others. Rather, it is based on conversations with and observations of my peers. I’ve done my best to give the most realistic picture possible. At the end of the day, everyone’s life is different. Thus, you may be spending more in some categories but saving more in others. Let’s begin with the estimated monthly expenses of an individual living with their parents and who has already started work. Here is what your cost of living in Singapore would probably likely be on a monthly basis. As Asians, most of us would usually provide a monthly allowance to our parents upon graduation. How much you give is really based on your own circumstances and no one should judge you based on this. Please kindly note that this cost does not include that of maintaining and using a car i.e. petrol, road tax. If you wish to factor this in, do check out this guide on the “Cost of getting a car in Singapore“. Assuming you’re an average Singaporean like me who takes MRT to work daily, and perhaps take 2 Grab rides per month. Your MRT fees would probably be $1.50 X 2 trips per day X 7 Days X 4 weeks = $84 and an additional $20 for two Grab rides. Thus, that will be $104 in total. Of course, this also depends if Grab increases their fares, where you stay, whether you hang out in an area with few drivers around and also your frequency of using Grab. Some of you may use SIM-only plans to save cost as you can get up to 6G per month for just $28. However, for those whose phone bills are covered by your company, you may get contracts so you’d be able to get a discount on the phone of your choice. However, I’d recommend not changing phone every 1-2 years because it generates tons of electronic waste and harms people in developing countries. 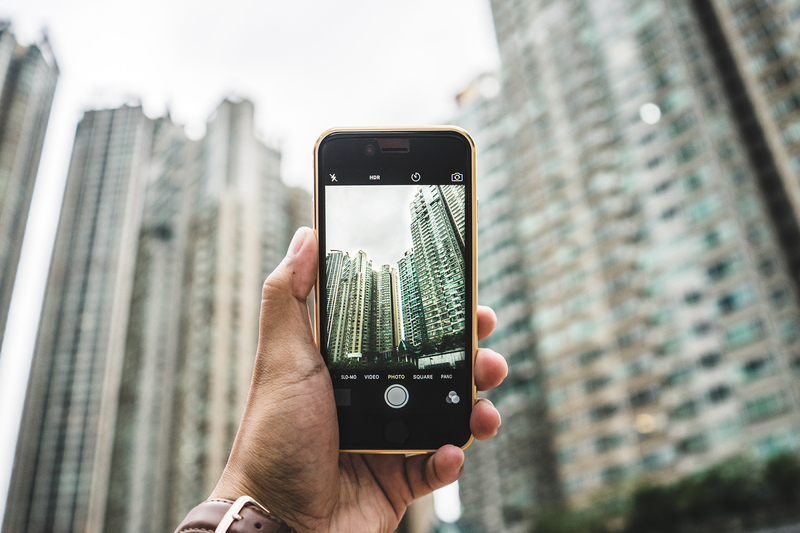 If you’d like a comparison on the best telco plans, do check out this super useful article by Seedly. I know of people who can spend more than $35 on lunch alone per week which adds up to $140. This could be due to their food preferences. However, for the normal Singaporean, you’d probably spend around $5 per day on lunch if you eat often at food court, hawker centre or mixed rice. That would add up to about $5 X 5 days a week X 4 weeks = $100 per month on lunch. Check out this guide on cheap food below $5 in the CBD. I chose to put an estimate of $200 for enjoyment. This is on the assumption that someone spends $50 per week on entertainment such as perhaps dining in a restaurant, alcoholic beverages, buying present for friend’s birthday, keeping pets, watching a movie etc. Some of you may spend less and others may be spending more. It really depends on how outgoing you are or what your hobbies are. While I love drinking with friends, I tend to do so once a month as it can get expensive. I am always on the lookout for great happy hours or cool places like TAP ($10 Craft Beer!). Let me know if you know of any nice places. Depending on your coverage and life circumstances such as gender or whether you smoke, the amount may vary from person to person. However, I was told that spending approximately 2-5% of your income on insurance protection is realistic. If you just started working, you may wish to check out this guide on what type of insurances a fresh graduate should buy. If you’re confused on whether you need health insurance even if you’re already covered by MediShield Life and your employer, you can read this. Personally, I have Term Life/TPD, Critical illness (CI) and also Health Insurance. Some strongly believe in CI while others think it is a good to have. The common illnesses covered by an early stage CI are fairly comprehensive and a good reflection of the likely illnesses a person may get. The truth is, most of us would know of at least a few people, perhaps even our own family members, who have at one point in their life had some of these illnesses. Let’s assume this persona is a Singaporean citizen, she has been working for around 5 years and is drawing a salary of $5000 per month with 13th month bonus. Her income tax would likely be around $1,800 per annum. When you move into a new flat with your partner, your life may change in a sense that you’d have to fork out more per month. Thus, if possible, after marriage and moving in together, try to get a pay raise within your current company or in a new company. Otherwise, you’d be doing the same amount of work but at a lower savings rate. Please kindly note that the below chart is based on the assumption that you and your partner earn roughly the same and thus, split the cost equally between each other. As shared in my previous article, my utilities bill is lower than $50 per month for a four room flat. However, I don’t expect everyone to make the sacrifices that I did such as sleeping with no aircon or not having a television or dryer at home. Some may also be more concerned about cleanliness and would like to wash clothes three times a week. I respect other people’s lifestyle choices and there is no right or wrong. One of the most common questions by home owners is why you would need home insurance in addition to HDB fire insurance? The HDB fire insurance covers the cost of reinstating damaged internal structures, fixtures, as well as areas built and provided by HDB. It excludes home contents such as furniture, renovations and personal belongings. However, Singaporeans can spend at least $50,000 or more to renovate their HDB flat. This includes costs of built-in cabinets and wardrobes, floorings, kitchen fixtures, feature walls, false ceilings as well as electrical works. The idea of a home insurance is to ensured you’re covered should there be damage to these contents and renovations. Depending on your lifestyle, groceries can cost up to $90 per pax. This includes not just ingredients but also detergent, hand soap, tooth paste etc. If you don’t cook much, then probably this would be lower. However, your cost of eating out would have to be recalculated. I personally tend to cook my own dinner. I also prep my lunch at work around 2-3 times a week. On weekends, I tend to eat at least once meal at home too. Thus, my groceries can be around this range. Your cost may vary based on what you eat, and also where you shop. For instance, I mostly shop at Sheng Shiong / NTUC and Red Mart. However, if you shop elsewhere, the price may vary. This cost is estimated based on someone who bought a 4-5 room HDB flat at say, Bedok Reservoir, with a $350,000 HDB loan. What about other types of expenses? Please note that in my description above, there are some missing items. I’d cover them here and explain why I found it hard to come up with an estimate. What you can do is to decide how much you’d spend on these items and factor them into the calculation. I was unable to come up with a figure for this because everyone I spoke to is just so different in their personal grooming habits. For me, I use Hada Labo Face Wash ($10.80) and share Head & Shoulders shampoo ($13). I have hair treatment once a year and use mask twice a week. I don’t wear much accessories. However, others may be different. I know of people who also do manicure and pedicure quarterly. They may buy new clothes every month. It really depends on the individual. There are just too many variations to come up with a meaningful estimate on how much one spends on personal grooming. I personally choose to spend more on exercise because I feel it gives me more discipline and has many long term benefits. I have a gym membership and am also learning martial arts. I feel that exercise helps me in many ways. I feel less stressed, fall sick less often and most importantly, it increases my stamina greatly. I have more energy to cook after work, play with my rabbits and do volunteer work. When I am slimmer, I won’t feel warm easily and won’t need to turn on the aircon. This also helps me to save on my electricity bills. However, I recognize the value of exercise may vary from person to person as other people can probably be happy without a gym at all. I did not factor in events such as other people wedding, birthday, last day at company and people’s first day at a company. This is because some people may be more sociable than others or have a different company culture. My social circle isn’t that big as I would consider myself to be not very extroverted, Thus, I only attend weddings 2-3 times a year. I found it hard to come up with a figure for holidays. I know of people who earn more than me that hardly travel and also those who earn less who travel every quarter for leisure. The cost of travel can vary based on the type of destination you like. Or, whether people were lucky enough to spot awesome travel deals. I’ve been quite lucky to find some good travel deals to places such as Dubai ($860), Harbin ($775) and Moscow ($1,600) for both flight and hotels. Your expenditure can also depend on what you buy during your trip. I know that there are people who often shop a lot or buy presents for several people i.e. friends, colleagues, partners, parents. This can also add on to the travel cost depending on what you buy. I personally do not do so, even for my own parents. I guess gifts are not really my love language. I show care through other ways. Some of us may donate a fixed amount on a monthly basis. Some of us don’t. Right now, I am not sure if the majority of young adults in Singapore donates regularly. Thus, I found it hard to come up with an estimation. I personally donate $50 a month to charity. The calculations on this article would probably help you see that the cost of living in Singapore is not exactly cheap. In total, based on the calculations above, a young adult living with their parents can spend around $955. Those who are married and living in their own house would spend around $2,055 per month. This excludes categories like fitness, travel, obligations and personal grooming. This is not even taking into account the recent increase in tariffs for electricity and water. GST will soon increase too. I’ve highlighted 5 ways how young adults can begin to build their savings and wealth in my previous article. 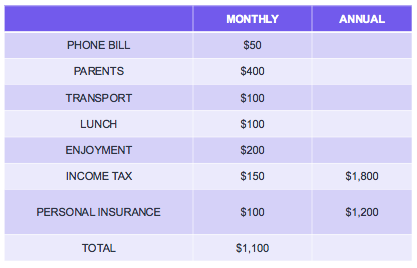 What I feel would be helpful to you as a next step, would be to write down your expenses per month based on these items. After which, you can go through that list to see which one you can cut back based on your personal targets and goals be it getting married, having a baby, working towards your retirement or all of the above. Up next, I would be publishing more posts with tips related to adulting such as how to keep utilities bill low; how to save money on renovating your HDB flat and other useful advice that others have given me. If you feel that the advice shared here has helped you, do share this post with your peers. Should you wish to stay updated on these posts, do follow me on Facebook.